Colada batch 2 – even better! I love how this one turned out. Wispy green swirls and a thin tracery of bronze mica swirl throughout in addition to the bronze swirl over the tops! The fragrance is fantastic – even the hubs liked this one! That surprised me. He usually likes just certain ones and never strays, but he’s gotten to a point where he’s enjoying getting a whiff of other fragrances now and then, and this one he definitely liked. I did a tracery bronze mica swirl in the center which came through just a light and wispy as it was supposed to, and only used green in addition to the white. TD was used only in a small amount, the rest was done with Kaolin clay, which does a lovely job of lightening up off-white soaps. The fo is so yellow it tends to tint the soap batch a bit, but not to the point where it’s impossible to overcome. This also had some colloidal oatmeal, Tussah silk, and a light sprinkling of iridescent glitter across the tops. It was touch and go as to whether to add the glitter, but went for it anyway. As the soap cures on the rack, drying as it goes, the white should lighten up to a light ivory colour like the outside edges are already. That will give a better contrast for the green to play off of but only time is going to bring that out. I still couldn’t resist getting a pic in here of these. So these also have a nice healthy dose of Vitamin E, and coconut milk in them for your skin to enjoy and believe me, they will. The coconut milk is very high is fat so this superfats the soap making it the perfect way to make your skin feel soft, smooth, and oh-so-happy! Three oils and one butter for this batch of soap, just like before. and the extras are the same. I think the only thing changed is the way in which it was designed, This batch can be pre-orderd as of now, but will not ship until October 7th when it’s actually fully cured. Fall & Winter blends, already? Whatever happened to summer? I kept waiting but it never appeared in earnest, not really. It was call on account of rain, I think. It’s been too rainy to even get out side to weed the herb bed and it’s a complete disaster now. It really isn’t pretty. I can count on 1 hand how many times I was able to go out and get ahead of the weeds, which is pathetic really when you realize there are 93 days in summer! *sigh* Oh well, there it is and nothing can be done to change, so march forward, plan for fall and winter and hope for better times next year. 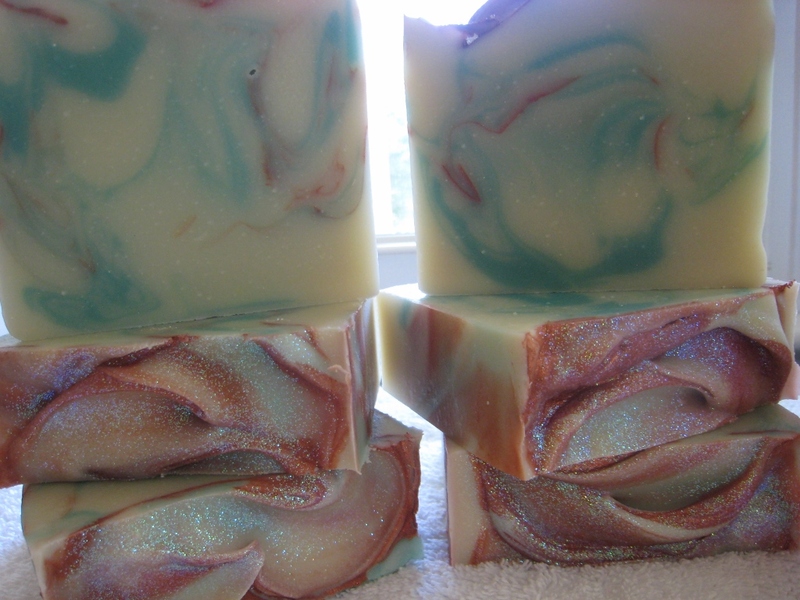 Today was a heady experience, a bit overwhelming, actually, in making EO/FO blends for the fall & winter soaps and so far there are 3. It’s a start anyway. I have Black Forest, Through the Woods and my favorite (in name anyway) 3 Kings. Black Forest is dark, heady, aromatic with the notes of earthy fragrance like Rosemary, Sage, Cedarwood, Silver Fir, and topped with Lemon, Orange, Lavender and a splash of Black Tea. I thought about using the Black Cherry I have but it smelled too sweet and that’s not the direction I wanted this one to go. It needs to be deep, earthy, mystical. If I feel, after spending some time in the bottle steeping together, that it’s too deep and dark I’ll lighten with some bamboo. A green note but still brings a forest to mind. Don’t know what the colours will be, but I’ll ponder on that closer to soaping day. Through The Woods – also a woodsy fragrance, but with a bit more smoke to it. I thought of using vetiver for a really smoky note, but didn’t like the overpowering tendency it has over everything else in the mix. I stayed with the notes of Cedarwood, Lemon, Eucalyptus, Silver FIr, Lavender, Sweet Basil, Cinnamon Leaf, and Balsam. This one would be a nice scent to eliminate odors on the skin or clothes, making it ideal for hunters! Hm, maybe this should be a spritz rather than a soap. 3 Kings – and you can probably figure out what notes are in this one. Frankincense, Myrrh, a bit of patchouli, a bit of cedarwood, and topped with orange. There’s a substantial portion of the orange to prevent this one from smelling too much like a resin. I had a specific look in mind for this one, so I hope there will be no interruptions when I start working on it. That sort of things has ruined many a batch and not just speaking for myself there. Honestly I don’t know how younger mothers do this. How they manage raise small children and still be able to soap, create, blend, label, package, plan, pack, go to shows or markets. It’s so much to do and it’s incredibly exhausting for someone who doesn’t have the extra work of small children, but the work required increases exponentially with a small child. Even more so with an infant! I can remember vividly the guilt I felt in leaving my kids at home (their dad was there of course, but still) while I went to the local Farmer’s Market to sell my baked goods in the booth Saturday after Saturday. Some were very good, other weeks were not worth getting up in the morning, yet I had to do it just to keep ahead of the bills month to month. I’d be so tired at the end of a morning selling to a very critical public, I’d come home and fall asleep on the sofa then felt guilty for that, too! What the heck is wrong with a female’s wiring to feel guilty for the desperate need to recharge at the end of a long, tiring day? Mine was totally fried, I guess, but the guilt lingered until they were grown. Then I felt like I’d missed something. Gah! There’s no easy answer for the fine balance between being a mom and being an income earner. There’s no answer that satisfies completely. So, if you’re a young mom, and you’re soaping, baking, selling, going to markets, going to craft fairs, etc, how do you find balance? How do you keep your sanity with all that you must do every day? How do you find some time to rest, recharge, or create? With the exception of the blue one in the center, these are all recycled bottles. I’d ordered various fragrances from others, saved the bottles (though irritatingly enough, not the correct tops) for future use, so this is a great way to reuse all those FO & EO bottles you have left from ordering from your various suppliers. The tinted ones are perfect for EOs but only in glass. The volatile oils will eat right through the plastic ones, so remember to save those glass bottles, you probably will need it again one day and it saves money down the road when you want to make your own blends and store it ’til you’re ready to make something with it. I ran short of bottles once or twice and had to buy a few from Whole Foods, but they’re a mint if bought there, so I’ll try to hang on to the ones I have a bit better and NOTE TO SELF – Keep the caps! 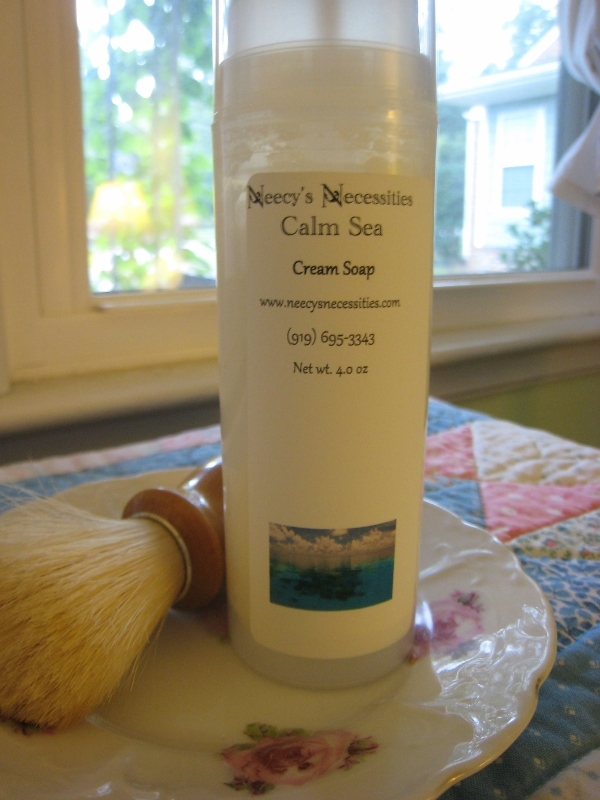 I’ve just put up the lip butter to the web site – www.neecysnecessities.com – with the note that other flavors are coming very soon, making 7 flavors available in our lip butters! So excited to be able to finally say the lip butters are one I’m happy with and ready to put up on the site. Finally. I’ve been working on this one for years, countless versions, some good, some epic fails, but this one is good. Silky smooth, glides on easy, no pull at all, and the flavor/scent is subtle but there. Just not too much this time. Too much makes your lips go numb. Never a good thing. lol! This butter is crafted with a rich blend of coconut oil and cocoa butter with a nice helping of beeswax for just the right amount of lasting texture and firmness. Orange is pictured, but we also have Margarita, Raspberry, Black Cherry, Watermelon, Strawberry, and Coconut & Lime! Yay. $3 each in a twist up lip balm tube, but they’re such a luscious blend, it’s not a balm, it’s a butter! Another new goodie is our Cream Soap, made with coconut oil, grapeseed oil, aloe vera juice, and glycerin for a great moisturizing feel, plus just a dash of camu camu fruit powder for a healthy dose of Vitamin C which your skin loves. It also helps with exfoliation, ever so gently. It’s a luxurious way to shave or cleanse your face without irritation or roughness. The fragrances we have so far are Calm Sea and Perfection, both perfect for men, but women will love these just as much, plus our favorite, Fresh Air. I’ve personally tested out a bit of this cream soap batch and can honestly & without bias say that my skin never felt so good after a good scrub or shave. Other fragrances will be available soon in this form as well as scrubs. For now these are going up on the web site tonight. These are in 4 oz airless pump bottles and will be $10.50 each, not including shipping. Fragrance free is also available upon request. Contact me through my email neecysnecessities@live.com. This was an excellent book for anyone who makes soap or just wants to make it someday. 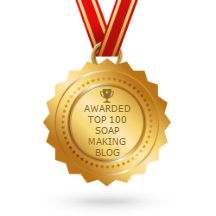 It’s clear, easy to read, has plenty of pictures to show you exactly what your soap should look like at benchmarks throughout the process. The same cannot be said for many other books I’ve read on the subject! This is a must own book for anyone seriously working in the soapmaking craft. The recipes in the back are simple, many with only 3 or 4 ingredients, though others are a bit more complex. A DVD come with the book, which I cannot comment on as I’ve yet to view it, but it’s a video on the entire process of making a batch of soap. Once I’ve finished the text part of the book and devoured the recipes, making notes here and there, I’ll be sure to watch the video, even if I’ve already made many batches of soap, it helps to watch others to see how they work and if my own technique can be improved. This is a learning curve and Mcdaniel’s book is certainly taking it up a great deal! The cream soap has broken enough now,I think to do something fun with it, so next week, I’ll try adding some sugar to some of it, throw a safe percentage of fragrance and see what this cutie can do. I’ll be the tester for this initially and it it goes well, it’ll be packaged and put up on the web site shortly thereafter. 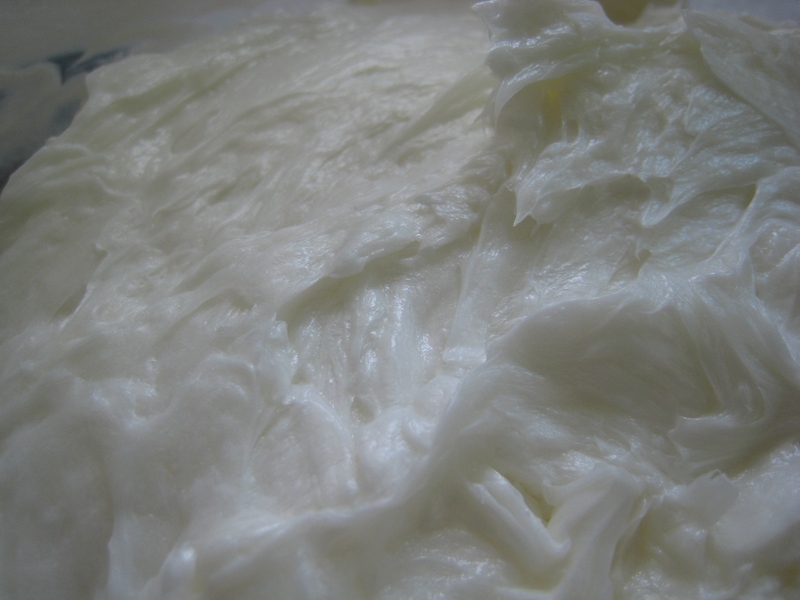 There’s a beautiful pearly white sheen to it stirred or unstirred. More so unstirred actually. I’ll have to try to find some time to make more again soon, with maybe a different set of oils for a bit of a colour to it, or add in some clays to give a light tint plus a good slip for shaving. This one has a pretty basic mixture with the typical large portion of stearic acid, plus castor oil, coconut oil, and a bit of sunflower. I thought about trying it with jojoba and peach kernel oil along with the coconut and see if that will be a nice combination. I’d like to try grapeseed but worry about rancidity since it isn’t known for its long shelf life. I store it in the fridge to prolong its shelf life as much as possible, but once its in a soap, well, maybe the preservative might help it out. The jojoba and peach kernel would give it a lovely golden colour like it did for the latest batch of lotion. That would be nice to try. The grapeseed oil on the other hand would give it a very pale green. Oh drat, now it really is calling my name! Peach kernel oil is rich in vitamins including Vitamin E and antioxidants that are believed to be of great benefit to skin and hair, so it’s a wonderful addition to shampoo and body wash formulations of liquid soaps. 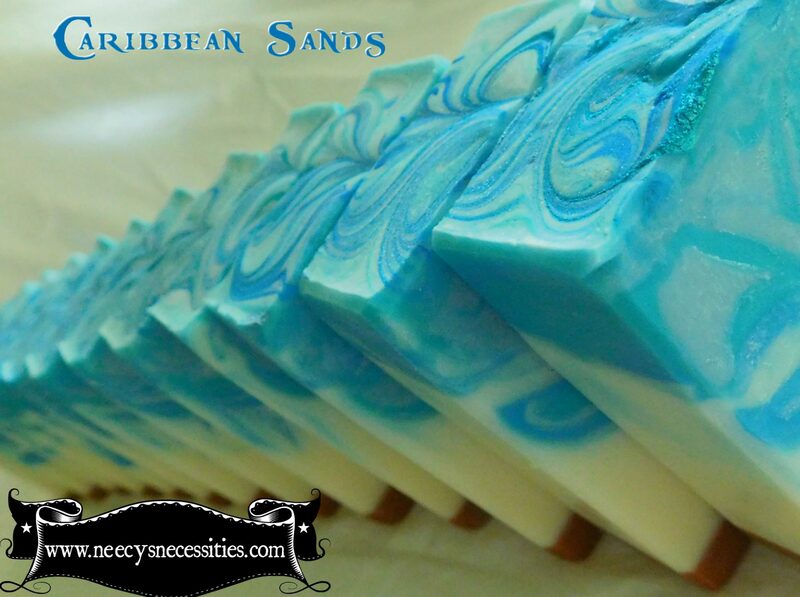 It has a a light feel to it and sinks in quickly when used in lotions and balms. The light golden colour is very pretty on its own, but will be further enriched if you also use jojoba in addition in your shampoo or body wash recipe. It’s history is a long and well established one that goes all the way back to Persia and early Rome, where citizens used it for skin treatments during the reign of the Emperor Claudius. It’s a wonderful oil to use in manicures to give the nails a soft natural shine. There are many places to purchase peach kernel oil on the web and depending on where in the world you live, it might be necessary to search for one closer to your home. In the states there are several sources, but I bought mine from Soapgoods. They’re shipping turnaround time is very fast and the quality is stellar. 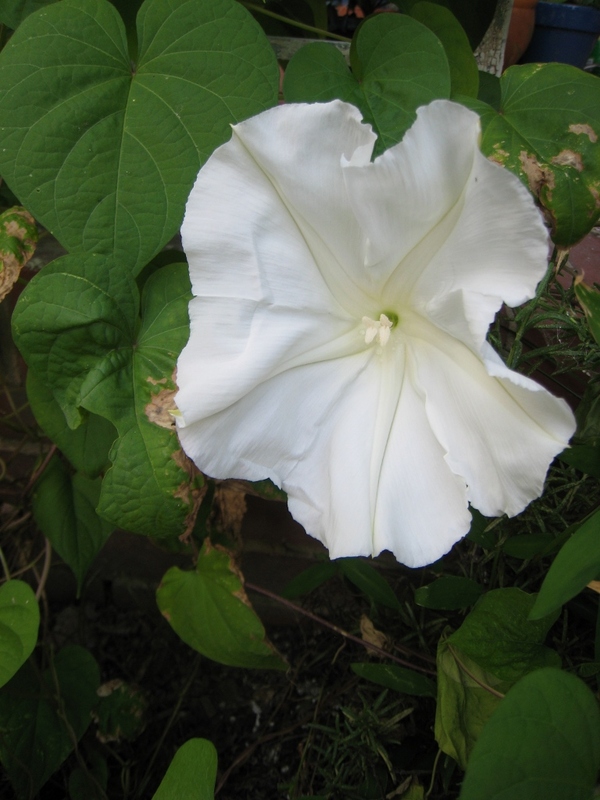 Every year for the past 4 years, the hubby & I have sown moonflower seeds and with great results every single year – except this one. I’m not sure if they didn’t like the extra wet season we’ve had, the late cool temps, or a combination of the two, but this year stunk for them in the growing season. We finally had our first bloom about a week ago! Way later than in preveious years. We’d have bloom beginning in late May most other years, and for a while I began to wonder if they’d ever come up at all. They were sown three times as well, so it was a bit of a concern that we’ve have an overabundance of plants vining over our house, making it maybe possible we’d have to hack our way through with a machete, but nothing anywhere close to that happened. We’ve grown spoiled to their huge pale white faces shining at us in the dark, so when they didn’t seem to want to appear, it was a terrible disappointment. Just the few blooms have appeared so far, maybe three at most, and they’ll bloom up until about October or the first hard freeze. They’re very hearty plants with tightly clinging vines, much like their diurnal cousins, the Morning Glory. The blooms are numerous on every vine, often in the dozens with each bloom fading into a brown dried pod in November that can be harvested for its seeds. Each pod typically hold two or three large white seeds. After the blooms are gone and the pods begin to form, let them go brown and very dry in appearance. Once they’ve reached this phase, remove the vines, and remove the seeds from the pods and store them in a ziploc bag until the following spring. After the last killing frost has occurred, plant then about to the depth of your first knuckle of your index finger, about 7/8″ to 1″ (depending on your fingers). They don’t need to be soaked overnight or treated in any way special, Just plant them and water them every day, twice a day for the first couple of weeks or until they start popping up out of the soil. Once they’re up, water them every evening and give them a bit of plant food every couple of weeks as well if your soil isn’t rich. The soils doesn’t have to be a special rich blend of anything particular, just regular keep it weeded of the vines will start growing up on the weeds too. They’re so worth the effort!